While the move allowed Foster to admit Rep. Sharon Jackson, R-Eagle River, to the House, it does not mean Democrats control the 40-person House. 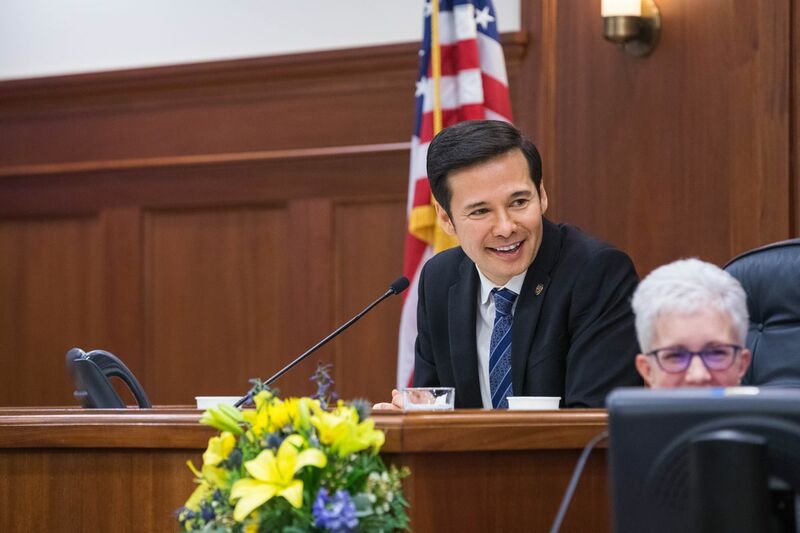 The issue of who will lead the House remains unresolved, and Foster’s appointment was primarily a technical move intended to allow Jackson to join the Legislature. Though Thursday’s progress was limited, both sides viewed it as an accomplishment. “In my view, that’s a fairly significant step because now it sets the stage for negotiations to take place to put a permanent speaker into place and have the House organized and ready to do its business in the session,” said Rep. Bryce Edgmon, D-Dillingham and the speaker of the House under the previous Legislature. “I’m feeling really good about the idea — I don’t want to use the poker term, but we now have a full house,” said Rep. Dave Talerico, R-Healy and the presumptive speaker of the House if Republicans negotiate a majority. Foster said his appointment was the result of negotiations between the now-20-member Republican caucus and the 19-member group that represents the former coalition majority. Each side was to offer one candidate for temporary speaker of the House, and if that speaker was elected, he or she would have limited authority. The Republicans offered Rep. Mark Neuman, R-Big Lake and the most senior member of the House. His nomination failed by a 20-19 margin, with Rep. Gary Knopp, R-Kenai, joining members of the former coalition majority against. Foster’s successful vote followed, allowing him to formally accept Gov. Mike Dunleavy’s pick of Jackson to replace Nancy Dahlstrom as the representative for House District 13. Dahlstrom won the November election but chose to accept a position in the governor’s administration instead. Because Jackson was appointed, not elected, her admission to the Legislature had to await formal action by a temporary or permanent House leader. Jackson waited two days for the Legislature to appoint someone, then tried to take matters into her own hands. 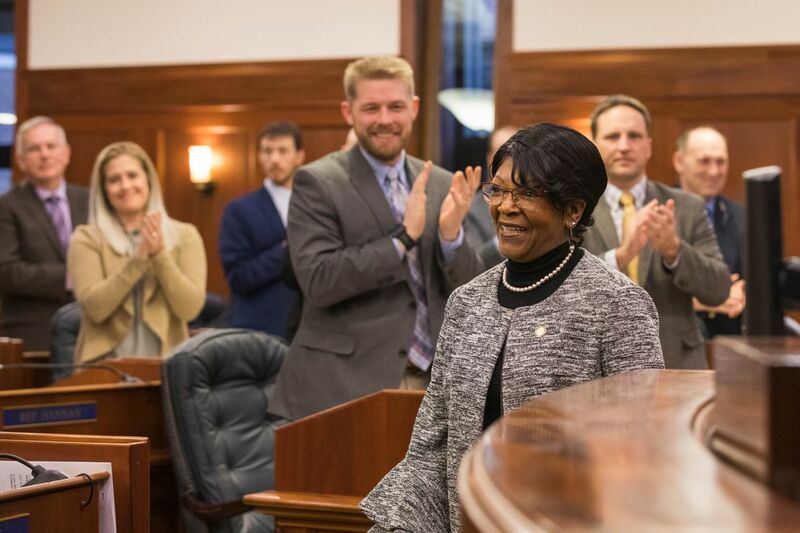 On Wednesday, apparently frustrated by a lack of progress, Jackson went to Juneau’s courthouse and took her oath of office from a deputy court clerk. The move was broadcast on Facebook Live, declared irrelevant by legal experts, disavowed by some of her fellow Republicans and deemed “bizarre” by Edgmon. On the following day, it didn’t matter. “At this point, it seems to be in the distant past,” Edgmon said. In a separate agreement that took place before Jackson’s swearing-in, all 39 sitting members of the Legislature signed an agreement to continue a temporary staffing agreement begun by Edgmon in one of his last acts as speaker of the House. 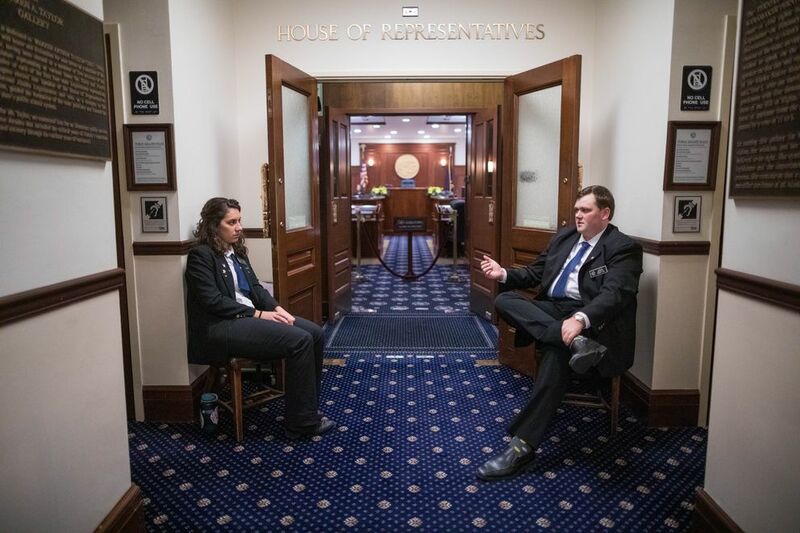 The agreement allows each lawmaker to keep two staff members and permits additional hiring with the joint consent of Rep. Cathy Tilton, R-Wasilla, and Rep. Gabrielle LeDoux, R-Anchorage. Without the agreement, House lawmakers would have been unable to pay their staff, and volunteers are not permitted in Legislative offices. No one involved in negotiations knows when the deadlock will be completely resolved. The 1981 Alaska Legislature went more than three weeks without agreement on a permanent speaker of the House. As for what comes next, both sides said that will depend on the result of ongoing negotiations. Foster’s role is limited, and he does not have the powers given even to other temporary House leaders. He cannot, under the informal agreement in place, extend an invitation for the governor to deliver his State of the State address, he said. The House is scheduled to convene at 1 p.m. Friday, but that meeting is not expected to result in the appointment of a permanent speaker.